Born in Taiwan, Yi Yiing Chen is a composer whose music has been described as “very different, showing the composer’s versatility and breadth of range and influence” and “an exciting amalgam of eastern and western styles.” Her compositions have been featured by the Tanglewood Music Festival, the Cabrillo Festival of Contemporary Music, the New World Symphony, the Collage New Music, the Crossing Borders Music, the Asian Composers League Festival and the Women Composers Festival of Hartford. She has received awards from the Tanglewood Music Center's Elliott Carter Memorial Composer Fellowship, the NACUSA Young Composers Competition, the LungShan Temple Scholarship, the NEC Symphony Composition Competition and the NTNU Presidential Scholarship. Besides writing music, she is also an active pianist and has presented a solo piano recital in Taiwan. She previously served as a concert pianist of the NEC Concert Choir and performed at the St. Botolph Club, the Museum of Fine Arts in Boston, and the New England Chinese Professionals Lunar New Year Gala. Yi Yiing also plays flute, Chinese bamboo flute, and Dulcimer. 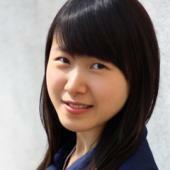 Yi Yiing currently teaches at the Massachusetts Institute of Technology and is on the faculty of New England Conservatory, where she is also a doctoral student studying with Prof. John Heiss and Prof. Michael Gandolfi. Yi Yiing has studied or worked with many other talented musicians including John Harbison, Oliver Knussen, and Dimitri Murrat.. Previously she received a M.M. from the Manhattan School of Music and a B.A. from the National Taiwan Normal University, where her mentors included Nils Vigeland, Richard Danielpour, Reiko Füting, Mao-Shuan Chen, and Gordon Chin.